Bright house in the village of Ortovero, known for the production of Pigato wine typical of the Ponente Riviera. 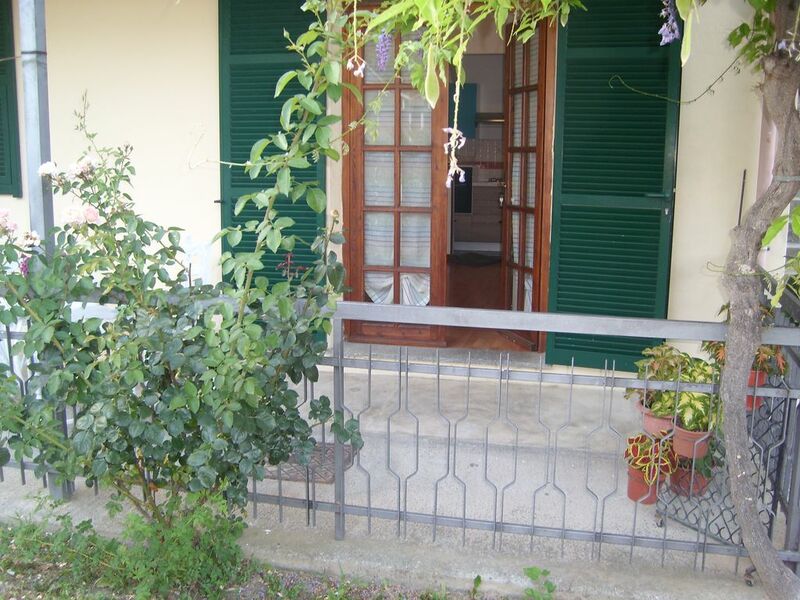 Set in a quiet location, it provides access to the beaches of Alassio and Albenga in just 15 minutes by car. Great starting point for those who love hiking or mountain bike excursions. Just 5 km (approx.) From Garlenda Golf Courses. The house has an independent entrance and a large private car park. The porch and courtyard allow for moments of relaxation and outdoor fun. The interiors, completely renovated in the furnishings, are spacious and comfortable. There are two double bedrooms (with possibility of extra charge, two additional beds), kitchen, bathroom with bathtub and large living room. the house is ideal for those who are looking for a comfortable and quiet holiday but at the same time do not want to give up the opportunity to move and reach beaches, shops and city centers in a fast and practical way. The nearby access to the motorway leads to Montecarlo and Genoa in less than an hour's drive. Lovely apartment, very friendly owners. Paolo and his wife were really friendly and helpful. The apartment was lovely with all facilities you needed. The location was central for visiting many different places. Many thanks. It was a pleasure to have hosted you ! This was a beautiful and comfortable place to stay, and the village has many shops and services. Silvia and Paolo were gracious and helpful. The apartment was spotless and roomy, with a shady patio and also a place to sit in the sun. Ortovero is a lovely village, not to far from the sea, and has various different shops and restaurants. We plan on going back! Thank you so much. Come again soon !!! und 30 Minuten in die Berge. Touristen frei. Das Haus bietet viel Platz für eine Familie mit bis zu vier Personen. Sehr liebevoll eingerichtet und nicht veraltet. Alle Zimmer groß und geräumig. Die Küche ist sehr gut ausgestattet mit Kochgeschirr. Kommen Sie uns bald wieder besuchen! Ottimo punto logistico per visitare la riviera ligure di ponenete. Super location !! Très propre et location fonctionnelle. Les propriétaires sont très accueillants !! Super Preis Leistungsverhältnis. Obwohl mitten im Ort ruhig gelegen. Einkaufen, Cafe, Restaurant alles um die Ecke. Sehr gut eingerichtet alles da. Costi accessori: Spese di pulizia: € 50,00 Gas: € 5,00/m3 Energia elettrica: € 0,50 kw/h (Calcolati in loco al termine del soggiorno in base ai consumi). La biancheria per il letto e gli asciugamani sono inclusi. Cambio lenzuola (a richiesta) : € 8,00/persona. Cambio asciugamani (a richiesta) : € 3,00/persona.